We are passionately engaged in providing an exclusive range of Semi Precious Stone Tile that is precisely processed using topmost-grade raw material and the latest machines in tandem with set industrial norms. These are available in different patterns, colors, sizes and designs according to client-specific requirements and are highly appreciated for their glossy finish and attractive look. Apart from this, the offered range is stringently checked against various parameters of quality under the inspection of our skilled professionals. 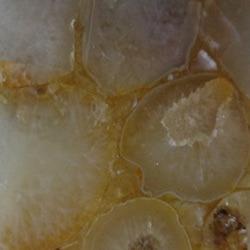 Established in the year 2008, at Delhi, India, we, “Anjili Stones Crafts,” are renowned manufacturer, trader, distributor and supplier of an exclusive range of Semi Precious Stone Decor Tiles, Precious Stone Decorative Floor Tiles, Agate Flooring Tiles, Floor Tiles, Jasper Tiles, Rose Quarts Tiles, Mother Of Pearl Wall Highlighter Tiles, Mosaic Tiles, Semiprecious Stone Table Tops, Semiprecious Counter Tops and Home Ornaments. The offered products are precisely processed by our skilled professionals using high quality basic material and latest technology in accordance with the set international standards. The basic materials we use to manufacture these products are procured from reliable sources of the industry. These products are widely used for covering walls, floors, roofs, showers and tabletops. Our products are highly appreciated among our clients for their features like sketch resistance, attractive look, minimum water clogging, easy to clean, lightweight, durability, perfect finish, beautiful design. We offer these products in various colors, sizes, shapes and related specifications as per the specific requirements of the clients.